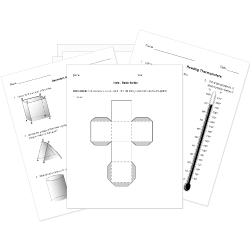 You can create printable tests and worksheets from these Grade 1 Basic Shapes questions! Select one or more questions using the checkboxes above each question. Then click the add selected questions to a test button before moving to another page. 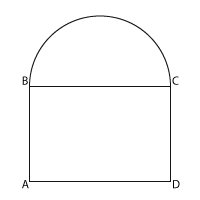 The figure shown is made from two shapes. One of the shapes is a half-circle. What is the other shape? A square has four equal sides and four equal corners. Sophia cuts a pizza into halves. How many equal shares of pizza are there? Which square is divided into equal parts? The square is divided into halves. 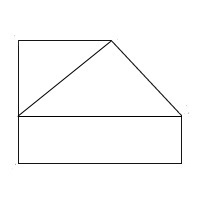 How many triangles are in the figure? How many rectangles are in the figure? 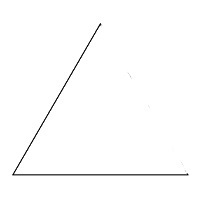 Which would change the shape so it was no longer a triangle? How many equal parts of the rectangle? 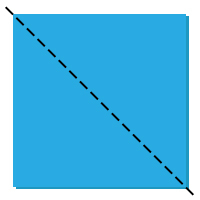 The figure has a trapezoid.